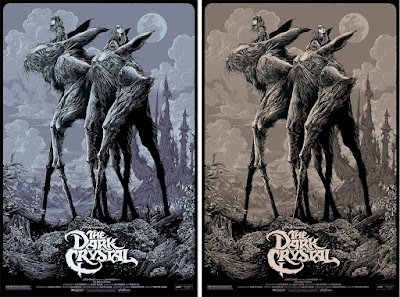 Mondo has an incredible line up of San Diego Comic-Con exclusives once again this year, including this killer movie poster variant screen print for The Dark Crystal by Ken Taylor! Collectors can purchase this hand numbered print at Mondo’s SDCC booth #435 in the early afternoon on Friday, July 20th, for $75. The Dark Crystal by Ken Taylor is a 24”x36” hand numbered screen print. Along with the San Diego Comic-Con 2018 Exclusive Variant, Mondo will also be releasing a Regular Edition of this Dark Crystal print via their online store also in the early afternoon on Friday, which will retail for $50.